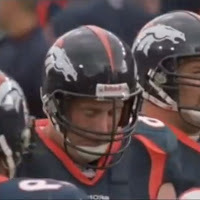 The Denver Broncos announced on Wednesday that former center Tom Nalen has been elected as the 24th member of the team's Ring of Fame. Nalen, who played in Denver from 1994-2008, will be inducted into Denver's Ring of Fame during halftime of the Broncos' Week 4 matchup against the Philadelphia Eagles on Sunday, September 29. During Nalen's tenure in Denver, the Broncos offensive line produced eleven single-season 1,000-yard rushers and allowed only 395 sacks, the third-fewest allowed during that time frame. "Thrilled for Tommy Nalen on his Ring of Fame election!" Team executive John Elway, a former teammate of Nalen, tweeted on Wednesday afternoon. "He is the epitome of grit, toughness, and athleticism for centers!" Nalen was drafted in the seventh round (218th overall) of the 1994 draft and went on to earn five Pro Bowls and win two Super Bowls with the team. He is the second offensive lineman to be inducted into the team's Ring of Fame, joining Hall of Fame guard Gary Zimmerman, who played with Nalen for four seasons (1994-1997). Nalen, 42, now candidly co-hosts the "Les and Nalen" radio show on ESPN Denver's 102.3 and 105.5 FM from 12:00-3:00 p.m. MT on weekdays.